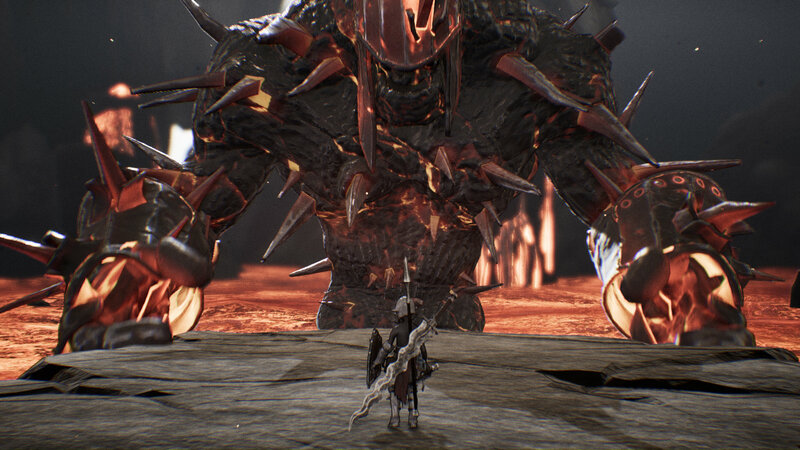 Sinner: Sacrifice for Redemption is a game whose title is more complicated than the game itself. It takes the form and function of Hidetaka Miyazaki’s opus, Dark Souls, and yet shaves all but the bare essentials. This stripped down version is inspired, but the execution is mediocre. It’s hard not to walk away from any given session both happy to have played it and disappointed that it missed so many opportunities. The Kingdom of Cavanis has seen better days. A catastrophic event has destroyed it, and everyone inside. Our disembodied narrator blames you, a nameless wanderer who has accepted the title of “scapegoat” gracefully. As penance, you slay aspects of the people you failed, reborn as seven sins-themed monsters. I think? There’s so little actual narrative in Sinner that it’s hard to parse exactly what is going on. I’m not sure a convincing “why” is necessary when it comes to killed big themed bosses resembling Greed and Wrath. But when you tell a story, it should be coherent at least. The devil doesn’t seem to be in the details in the same way Dark Souls’ story is. There are no item descriptions to read or environments to parse context from. The cutscenes in front of any particular fight gives you a slight rundown of who you’re about to collide with. Yet, you never really have a sense of its place and purpose in the grand scheme. It always feels like a missed opportunity. The feeling of avarice translates to much of the level design. You’ve seen these settings before: a stony temple platform crumbling under the weight of its age, a putrid swamp bubbling with doom, etc. Every piece of dark fantasy fiction across all media is represented here. You’ll never be able to claim that Sinner has executed mood or design better than any of those other manifestations, though. Generally, the environmental details and character designs leave a lot to be desired. The Wanderer himself looks like a rounder, shinier version of the Limbo kid. He’s a mannequin of an avatar, awkwardly wearing his gear like he’s playing dress up with Daddy’s armor. Stages themselves feature simplistic features with underwhelming color schemes. All in front of a diorama background that is so hazy and faded that it screams afterthought. 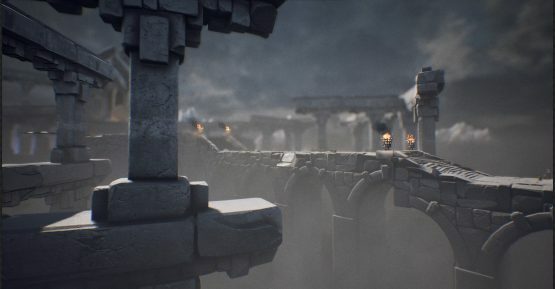 Sinner unashamedly co-ops the Dark Souls vibe pretty directly, which is where it’s visual features fail the hardest. 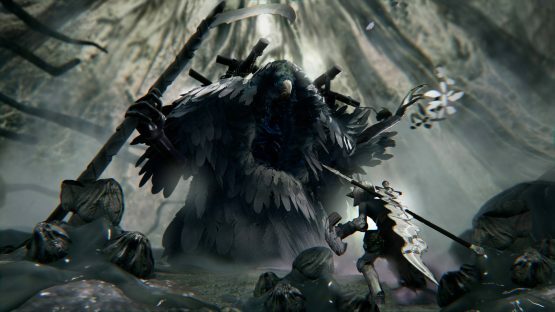 One boss, a venomous floating reaper, looks like someone tried to redrawn Gravelord Nito from memory as quickly as possible. The stage where you battle the shape-shifting Chanel gives off heavy ROM vibes, but with less impressive water effects. Looking so much like some of the most iconic images in the past ten years does not do Sinner any favors. Though Sinner maybe onto something when it comes to grander concept. So many games have tried to recreate the Souls formula too closely. Very few have attempted to really deconstruct what makes those action RPGs so satisfying. By turning it into a boss rush, Sinner gets straight to the formula’s high notes: those incredible, intricate boss fights the sub-genre is known for. Sinner replicates them admirable. Bosses feel dangerous and oppressive, even without the existence of smaller fodder or long labyrinths to explore beforehand. Each fight is largely different than the last. Since your character’s loadout doesn’t change from fight to fight, each skirmish feels more like a puzzle and less like an RPG. Furi mastered this way back in 2016, and it’s good to see this rear its head in some form again. Though the obstacles in each of these beast’s stages look underwhelming, they tend to be integral to the strategies necessary to take them down. Many of these bosses have secret vulnerabilities or key timing challenges to make the most of them, but it can be hard to do. The bosses are tough though, and death will come from many angles and directions. Sinner is so excited about this prospect, that there are handfuls of trophies specifically for dying in exotic ways. Bosses themselves have attack patterns and abilities that are almost too familiar, though. 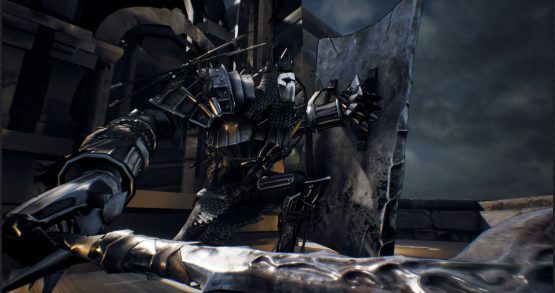 Rhodes, the giant tower knight of Pride, is definitely a character who moves and acts in ways you’ve seen a dozen times in video games. Very few of the enemies bring entirely new ideas to the table. Beating them is more a matter of just knowing how this particular version of Big-Dude-Stuck-In-the-Floor moves around. And then there’s the main gameplay gimmick of sacrificing. Every boss has a unique entry fee before you can enter the zone to actually do the deed. This pound of flesh is often a chunk of some meta stat of yours. Maybe you have your health and stamina lowered, or your item usage is truncated. These debuffs are permanent and cumulative, so by the time you get to 8th and final fight, you’re at a fraction of your former strength. In the early going, it can be difficult to really understand the consequences of some of the debuffs. If you don’t have a baseline for how strong you can be, it’s hard to understand what you’re missing when it gets lowered. You can start to see the strategic value of killing these creatures in a particular order. Tactically deteriorating yourself is like the anti-Mega Man formula. It’s interesting, but it lacks that sense of progression that the Mega Man formula proper provides. Killing a Robot Master gives you something, and demands you find new and interesting ways to use it. Sinner doesn’t take your abilities away necessarily, but this sort of progression makes the growing difficulty feel largely artificial. As a new interpretation of this almost decade-old formula, Sinner asks some great questions. When we strip away the exploration of the dungeon crawl and the tension of the storytelling, what’s the core of Dark Souls? Risky, challenging, and rewarding encounters with larger than life baddies. Sinner may not be the final answer, unfortunately. It’s too derivative, both in enemy and environment design. Sinner focused and simple, but over-complicates things with the sacrifice experiment. It’s a step in a new and right direction, but it’s only a half step at best. Sinner: Sacrifice for Redemption review code provided by publisher. Version 1.00 reviewed on a PlayStation 4. For more information on scoring please see our Review Policy here. Though challenging, boss encounters don't feel incredibly unique. Its aesthetic is too derivative of Dark Souls. Sacrifice system makes encounters feel artificially difficult.